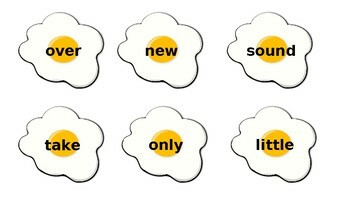 Teachers can differentiate the sight words as needed and use however many words you want students to work on. 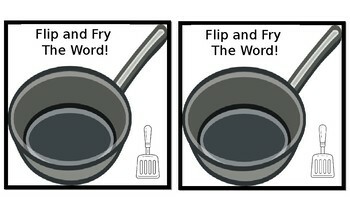 Students will lay out the eggs with the word facing down and flip the eggs up one at a time saying the word and writing it on the recording page, if students do not know the word they must flip it back over and try again. 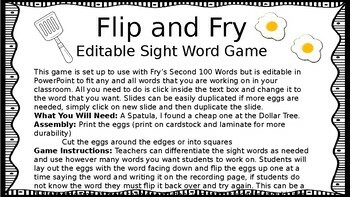 This can be a 1-2 player game, if more than one student is playing students should take turns flipping the eggs and the player with the most eggs at the end wins! This is a great game to play during small group or literacy centers. 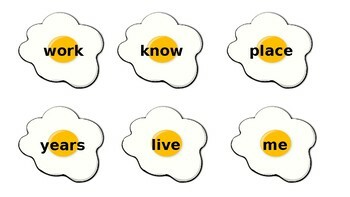 This is an editable game, words can be easily changed out to fit the needs of your classroom!